A small farm tucked into the hills of McHenry County, we grow beautiful vegetables in harmony with our diverse environment. Our food is grown without the use of chemicals, relying on healthy soils to produce flavorful, nutrient dense vegetables. For more about how we farm, click here. Join us for a weekly sampling of our farm. Members get a bag of super fresh seasonal vegetables picked just for you, a newsletter with recipe ideas and farm updates, and an invitation to on-farm events. 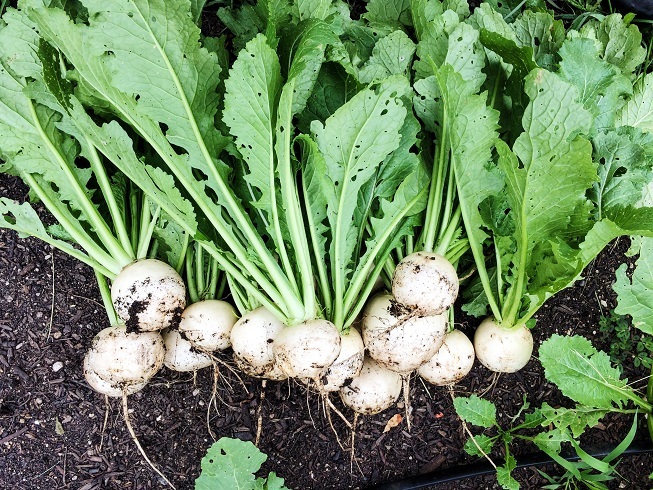 CSAs are a great way to support a local farmer while enjoying high quality vegetables. 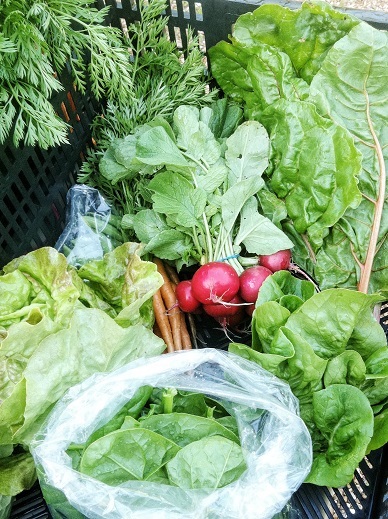 While the bag won’t cover all of your vegetables needs (it’s a Small, Weird CSA! ), it will add some very fresh, zero-chemical, beautiful produce to your diet without having to go to the farmers market! CSA bags are picked up/delivered every week, rain, shine and holidays. Vegetables don’t take the day off! If you’re unable to make a pick up or delivery, you can arrange to have a friend or family member pick it up, or you can request that we donate your bag that week. Please remember! This is a Small, Weird CSA! Our share is cheap because it’s a lot smaller than CSA boxes from other farms. If you’d like to feed your family of 4 with your CSA share, this probably isn’t the share for you. If you’re looking to get a little sampling of fresh, local, organically grown vegetables once a week this summer, we’re a great, inexpensive option. 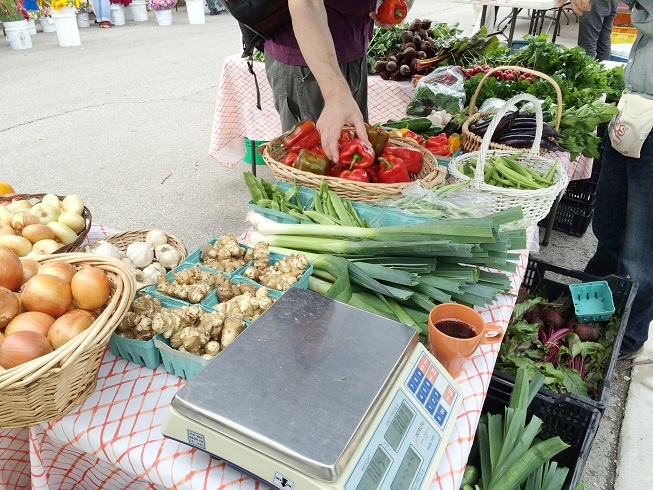 We'll be bringing gorgeous vegetables to the Park Ridge Farmers Market! Stop by and see us.